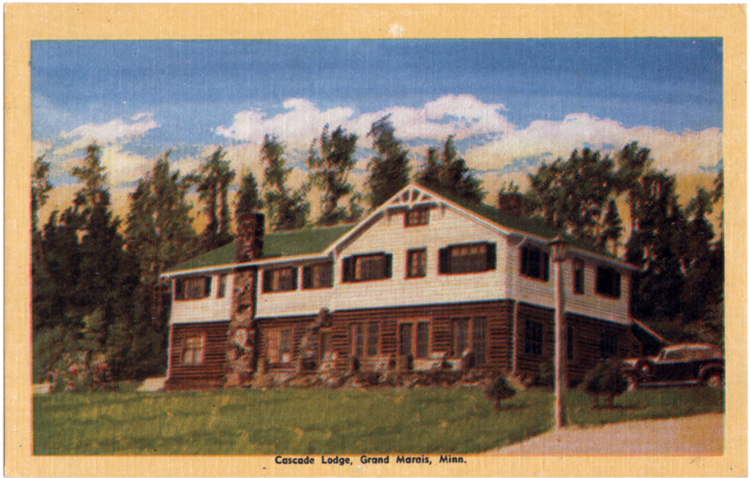 Cascade Lodge is located about nine miles southwest of Grand Marais and just east of the Cascade River on land Edward Ogilvie purchased in 1922. He opened the lodge in 1927, also offering summer housing in three cabins. 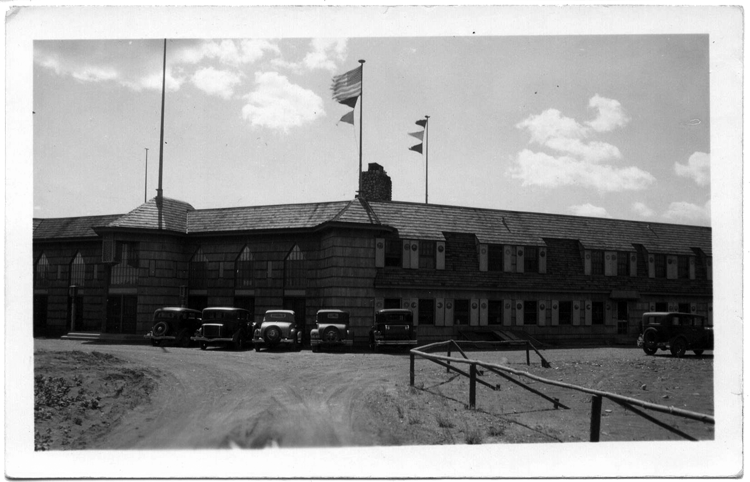 The first lodge building was torn down just twelve years later to make room for a grander structure, which was expanded in 1957. Business took off after the North Shore Road was fully paved in 1933 and a boost was provided by the promotion of the North Shore as “America’s Hay Fever Haven.” When the Lutsen Ski area opened in 1948, the Lodge stayed open year round. 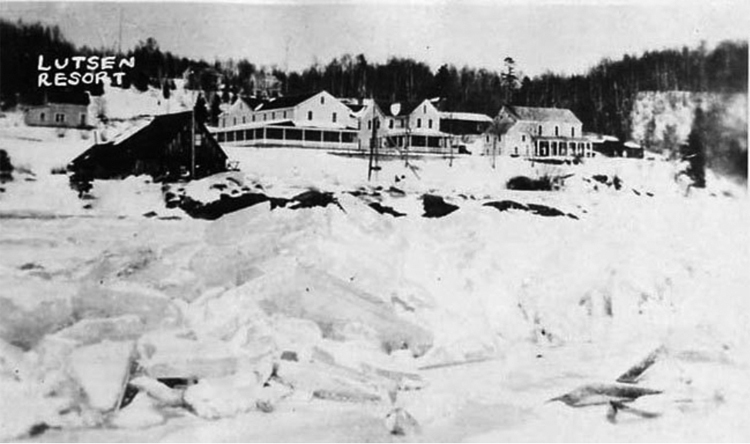 Five businessmen from Duluth (including R. D. Handy, a postcard publisher) created the Naniboujou Lodge, a private (and quite grand) sportsman’s getaway fifteen miles northeast of Grand Marais, which opened in 1927. The lodge takes its name from Nanaboozoo (“trembling tail”), a trickster character of Ojibwe legend, a spirit or a half man/half woman archetype who had many misadventures. Among its more famous members were boxer Jack Dempsey, Babe Ruth, and writer Ring Lardner. The resort is expansive, boasting a half-mile of shoreline on either side of the mouth of the Brule River (site of Devil’s Kettle Falls). When first developed, it encompassed 3,300 acres, much of which is now part of Judge C. R. Magney State Park. It boasted a grand lodge and plans were made for tennis courts and other amenities. Unfortunately, the Lodge only drew half of the one thousand members it needed to survive. It was turned over to a hotel chain in the 1930s and still operates as a hotel today.